The Lagos State Police Command has countered a tweet credited to the head of the Police Complaint Rapid Response Unit, Abayomi Shogunle, who said that having s-x in a car is not criminal. The Command spokesperson, Chike Oti described the tweet as 'misplaced' saying it was indecent to have s-x in a car in public place, and that it’s not only in Lagos, but also in the entire country. He said that under Lagos laws, couples are liable to between two-to three-year imprisonment upon conviction. But Oti said the state Commissioner of Police, Edgal Imohimi, had received legal advice on the matter. He said, “The CP Lagos has been advised by the Director of Public Prosecution of the state Ministry of Justice and the Legal Department of the State Police Command, Panti, Yaba, with relevant sections of the law as follows: Section 134 (a) Criminal Law of Lagos State 2015 prohibits any indecent act in any public place without lawful excuse. “The law holds that such person is liable on conviction to two years’ imprisonment. “Section 136 of the Criminal Law of Lagos State, 2015 provides that any person who commits any act of gross indecency with another person in public commits an offence and liable on conviction to three years’ imprisonment. “It must be noted that Section 134 which deals with offences against morality, particularly section 134 (a), has it that indecent act in a public place makes both parties engaging in the act liable to imprisonment for two years. “In the same vein, Section 231 of the Criminal Code Act, which is a Federal law and applicable in states other than the northern states where Penal Code is applicable, also make Indecent Acts punishable. 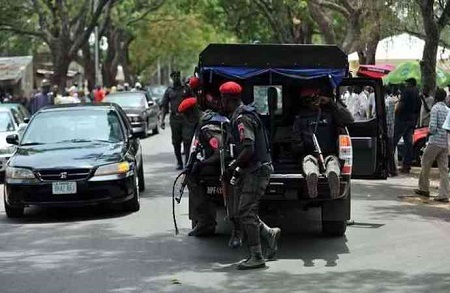 “Going forward, the authorities of the Lagos State Police Command hereby declare that the assertion that s-x in a car in a public place is not a crime in Nigeria is misplaced, as the provisions of the Criminal Law of Lagos State prohibit such acts in public, even if it is done with consent of the other party.